I have played with the Scrapping The Musics challenge # 198 for the first time. A simple selfpainted background says it all. Your self painted background looks absolutely amazing! 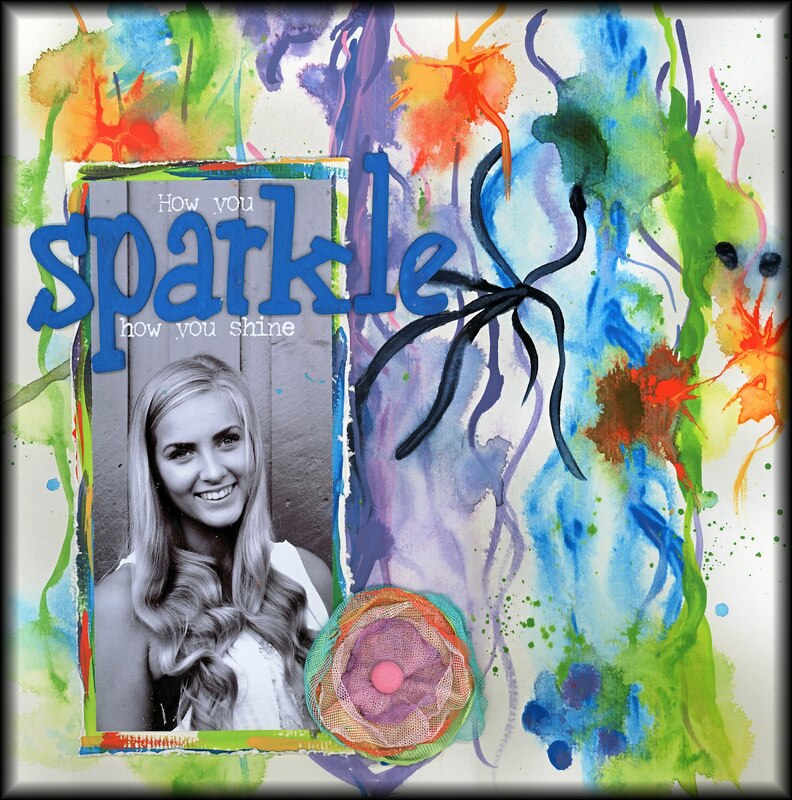 and your daughter really does sparkle, especially on this page! Thank you for joining us at Scrapping the Music this week! Wow - I love your painted background! Beautiful layout and photo! Thanks so much for playing along with us at STM! Oh, I love the background...funky and colorful as well as beautiful! what a fantastic background!!! love it! and your daughter is sooo beautiful!!! thanks for playing along at Scrapping the Music!! !